What determines if your rider on Zwift gets out of the saddle or stays seated? Why Does Everyone Else Stand on Climbs While I Remain Seated? You may have noticed when you hit a climb, every rider nearby stands up, while you probably stay seated, at least at the beginning of the climb. While you might think everyone is standing because they immediately dropped below 70RPM on the incline, this is not the case. 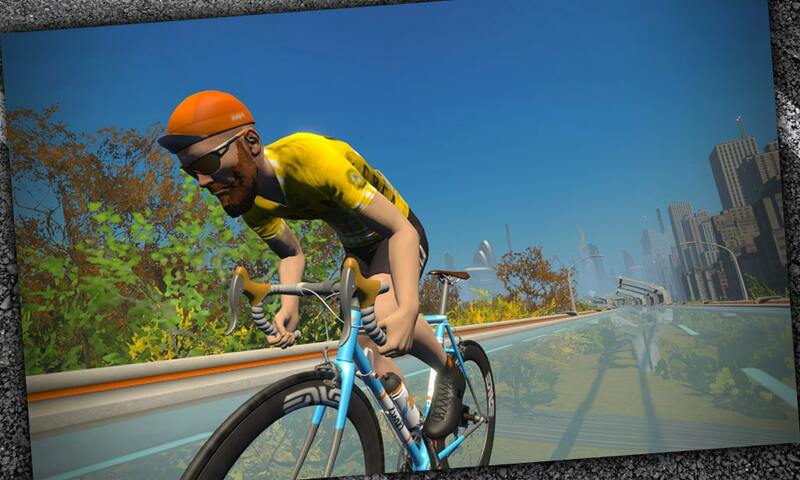 Rather, Zwift automatically shows everyone else standing, regardless of their cadence. Every rider you see who is on a 3% or greater incline will be standing, regardless of their cadence. Cadence only affects the standing or sitting of your avatar. There is one exception to the 3%/70RPM rule, and that is the Tron bike. 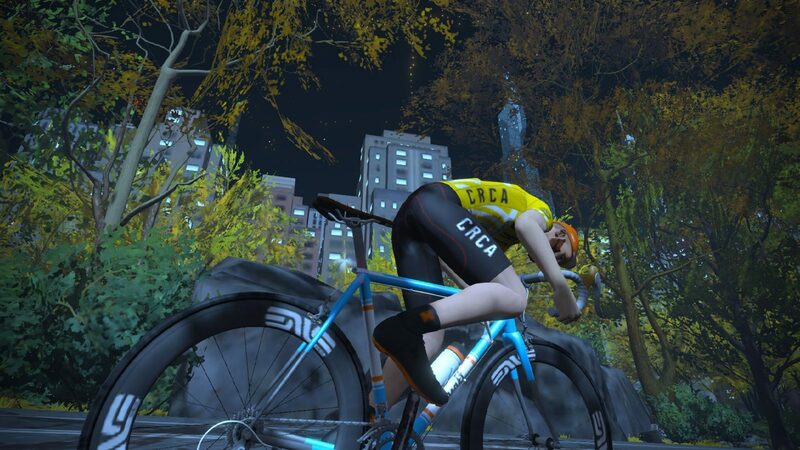 Zwift’s animators did not include an out of the saddle climbing posture for this frame, so you will never see a Tron rider standing up on climbs. There is a sprinting posture, however. This opens up a greater discussion, straight out of The Matrix. Did you realize what you see in-game isn’t exactly what everyone else sees? Your position on the road, even your finishing position in a race, can appear differently to you than to others. 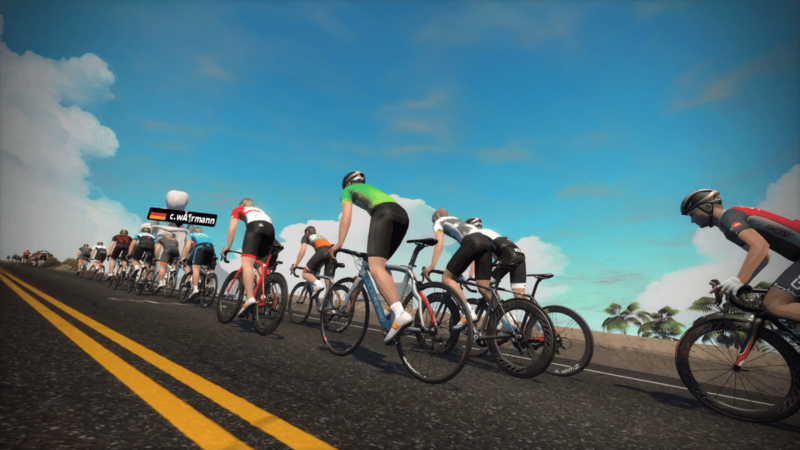 Typically positioning is quite close, but due to Zwift’s methods of rendering position and other factors, rider positions will never match if observed on two different concurrent Zwift sessions. Perhaps this is a time to ponder observation and our knowledge of reality: if a Zwifter gets out of their saddle and nobody is around see it, are they really standing? Which effect would Zwift’s positional quantum effect have on drafting? I get a question related to this article. Something that really bugs me!! While in a big group, supposedly drafting then, I frequently see myself with a pretty high position, on the hoods, while everyone else is in the drops. This drives me crazy as it seems that I’m not drafting and loosing precious aero power. John, it’s spelled “losing”, not “loosing”. “Loosing” means letting loose, if anything. Thanks Eschlange for the fast feedback. I suspected this was the answer but it’s good to get it confirmed. The other day I was drafting someone and every once In awhile he would disappear to 30 m behind me and then suddenly come back. That’s indicative of the other rider having some Internet connection issues… their position isn’t being communicated to Zwift’s servers consistently. On the topic of “I don’t necessarily see what everyone else does”; do we know: are all of the avatars that we see real people, or are some of them bots? Just curious to know. Bots (from the Zwift game) are blue and translucent. You don’t see them much anymore because there are so many riders on the course that ZwiftHQ doesn’t need to “fill it” with bots. Ah right, don’t think I’ve seen any bots yet then. Thanks for the reply. Thanks for this. I was wondering what was up with the hills, seeing everyone else hop out of the saddle while I remain seated. I always thought something was wrong on my end. Because how could EVERYONE be pedaling under 70rpm? Now I know. Thanks. Interesting! I’ve always assumed that sun and rain were synchronized across riders, but now this has me questioning every aspect of my Zwift reality. I am way below 70 rpm and higher then 3% incline but my avatar will not stand no matter what. Can someone please tell me why? Are you on the Tron bike? Is Zwift planning on fixing this before eSports really start ramping up? When racing, what other riders are doing around you can give you clues as to how they are feeling and inform your own strategy. You can’t study a competitor’s face in Zwift, but things like how a rider is going on a hill (e.g., sitting/standing) could be valuable. I haven’t heard of plans to do so, but that doesn’t mean they aren’t working on it. Wouldn’t surprise me one bit if they had some upgrades along these lines in the works. I pipped someone on the line, only to have the position switched in the results. It feels a let down, after putting out a maximum sprint to have it taken away. Riding in hoods is visual hint for actually being in draft. So it is good when you see it. When you ride in drops you’re not drafting. Everyone’s else position is irrelevant. Yeah, it does look like an out of the saddle climbing posture, doesn’t it? I don’t have an answer for ya. Isn’t it sprint animation? I think it is. Next question: How to drink from your water bottle? I assume there is an algorithm behind this also? It should be e.g. when cresting over the top of a mountain, but it seems more random… And why don’t the others drink as often as I do? Or do they – and I just don’t see it? I’m confused. I have no idea what the water bottle algorithm is. Since I ride a Tron bike (no drinking on a Tron) I haven’t paid much attention to it… but it does seem fairly random, and restricted to times when you aren’t putting out massive effort. Yep sitting up and decreasing power seems to trigger it. I have a question relating to cadence. 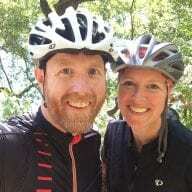 Yesterday I rode with my Bushido connected to Apple TV and somehow it wasn’t communicating my cadence. Not so much of a problem because I was paying more attention to power and distance. Interesting sideeffect was that my avatar‘s legs weren‘t moving. Was always waiting for comments from others suggesting that I was perhaps in some way „cheating“. These didn‘t come. Now, reading your page here I expect that the other riders saw my avatar’s legs moving(?) which then also raises the question that the cadence I see on other riders is computer generated or their real cadence? I suspect it is computer generated now because of the otherwise huge amounts of Data that would have to be processed? Thanks for any answers to this issue. I guess Einstein and Bohr could have a nice discussion about this subject.